I just love it if I can go into a museum and see something that makes me say “That’s so cool!” This is what happened to me when I unexpectedly found myself in Moyse’s Hall Museum, Bury St Edmunds. I have walked past the museum many a time when out and about in Bury. To be honest I’m not really a museum person so when walking past Moyse’s Hall in the past, I have just glanced and admired the building, but that’s about it. It was a particular exhibition that tempted me in – events are a fantastic way of attracting people like me who do not usually visit museums, but are often on the look out for something a little bit quirky to do. So what was “so cool” as to get me through the door? Thought you were good at Lego? This exhibition is just amazing!! 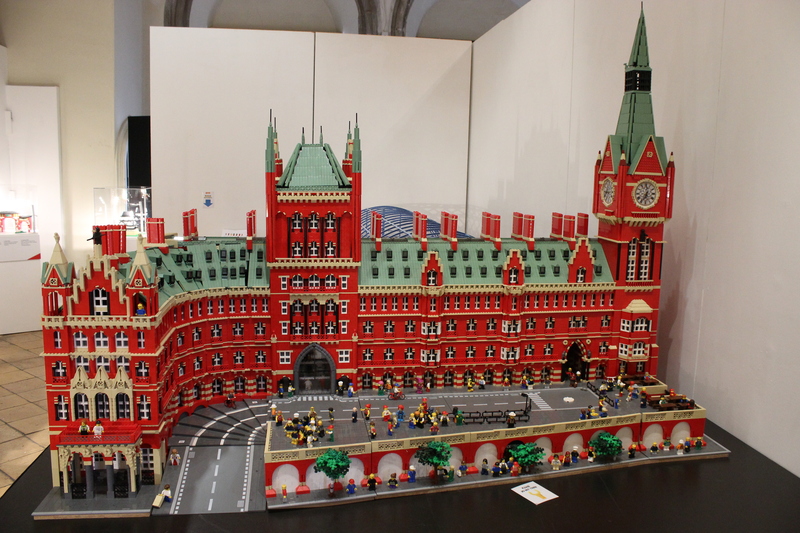 This is St Pancras station which apparently took over two years to build and 180,000 Lego bricks. 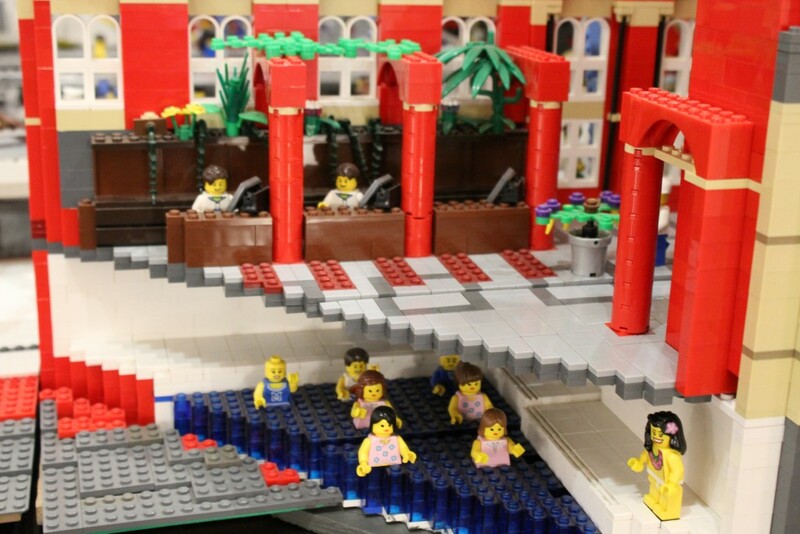 It’s not until you start to look within the station itself that you see a lot more going on than just commuters waiting for trains (yes I know its only Lego people, but you get completely absorbed by it all!) I had a lovely chat with a member of staff who pointed me in the direction of one of my favorite Disney characters who appeared to be stuck in a lift, a Sumo wrestler having a bath and I just loved watching the aqua aerobics class! It was all so cool! There was so much to take in whilst walking around the exhibition, from the amazing buildings and landmarks such as Buckingham Palace (complete with the royal family!) and Nelsons Column to the ArcelorMittal Orbit and Olympic Stadium, personally one of my favorites. In addition to the Lego exhibition, the museum itself had some interesting exhibits that caught my attention whilst heading up to see the Lego. I particularly liked the room with all the clocks. The sound of them ticking almost transported me back in time to my grandparents house! I had a lovely couple of hours exploring somewhere I would probably have never visited, which just goes to show maybe I could be a museum person after all! 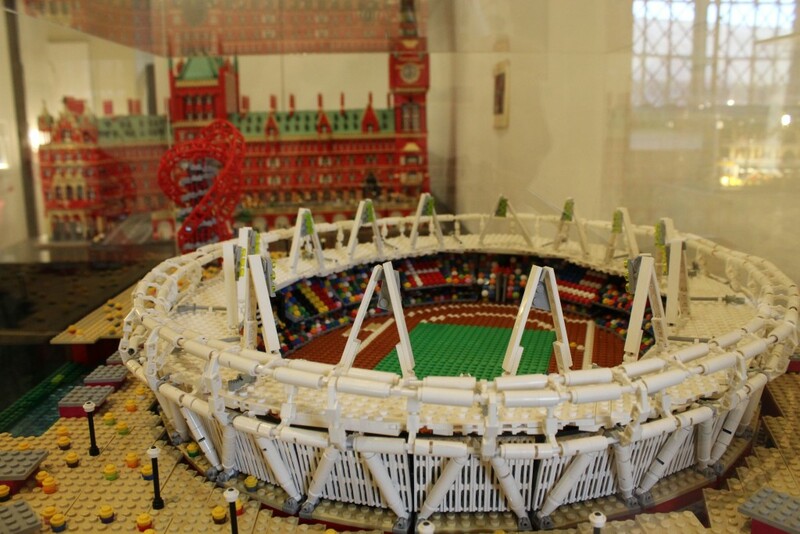 Brick City is in the museum until 24th April 2016 so if you have some free time I would recommend you see it – you never know it could inspire you to start a brand new hobby!